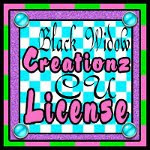 ♥ I Love Lucy DigiArt Designs ♥: DO YOU ♥ ANIMALS? Not only is the week of October 1st "Be Kind To Animals Week" but October 4th is "World Animal Day." So please, do something today or whenever you can to show that you care about the welfare of animals. You can donate to the Humane Society or a local wildlife or conservation group. You can volunteer at an animal shelter or sponsor an animal there. You can pick up garbage/litter or add a special sanctuary (birdhouse or a water feature) for the wildlife in your own backyard. And also, you can appreciate your own pets and animals by showing them extra compassion, buy them an extra treat or play with them a bit more... There are alot of ways to celebrate animals!